PIERRE, S.D. 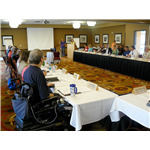 – The Employment Works Task Force met Tuesday in Pierre, continuing its work of creating strategies to employ more South Dakotans with disabilities. It will deliver its recommendations to Gov. Dennis Daugaard by the end of October. The task force was created to spearhead Daugaard’s Employment Works Initiative, which aims to make South Dakota an employment-first state by making employment the first priority and preferred outcome for citizens with disabilities. 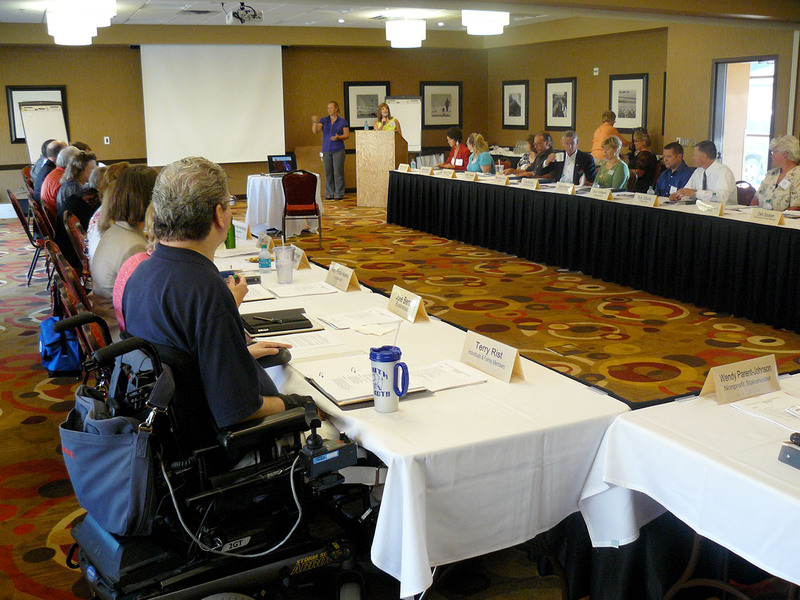 The task force brings together leaders of the state’s disability, business and government communities to forge a plan to diversify South Dakota’s workforce while benefitting employers. State Department of Human Services Secretary Laurie Gill chairs the 35-member task force and will continue in that role after her transition next week to commissioner of the state Bureau of Human Resources. The first meeting of the Employment Works Task Force was held Aug. 5, with the first half of the agenda consisting of informational presentations on programs and services currently available in the state from the departments of Human Services, Labor and Regulation, Education and Social Services. Members spent the second half of the day discussing both what is working and what is not working as far as boosting the employment rate of people with disabilities. The second meeting was held Aug. 27 and offered presentations from Rapid City Mayor Sam Kooiker and Aberdeen Mayor Mike Levsen on initiatives they have conducted in their communities and their own experiences in hiring people with disabilities. The task force members then delved into statistics and identified top priority areas and strategies to address the low employment rate of South Dakotans with disabilities. The third meeting is planned for Sept. 16, when task force members will focus on further identifying and defining the strategies and recommendations that will go to the Governor’s Office. A fourth and final meeting will take place Oct. 18 only if needed. All meetings are being conducted at RedRossa in Pierre.